Sallie Wolf loves books—reading, writing, and making them–and she is an avid journal writer. 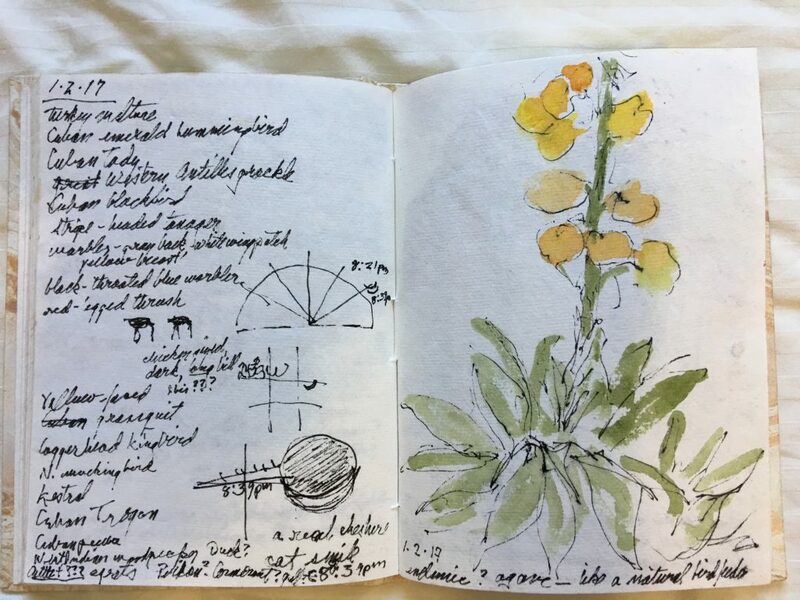 She will share the process she uses in her journal/sketchbooks and show how they form the basis for all her art, including a book of bird poetry, The Robin Makes a Laughing Sound: A Birder’s Observations, which she both wrote and illustrated. 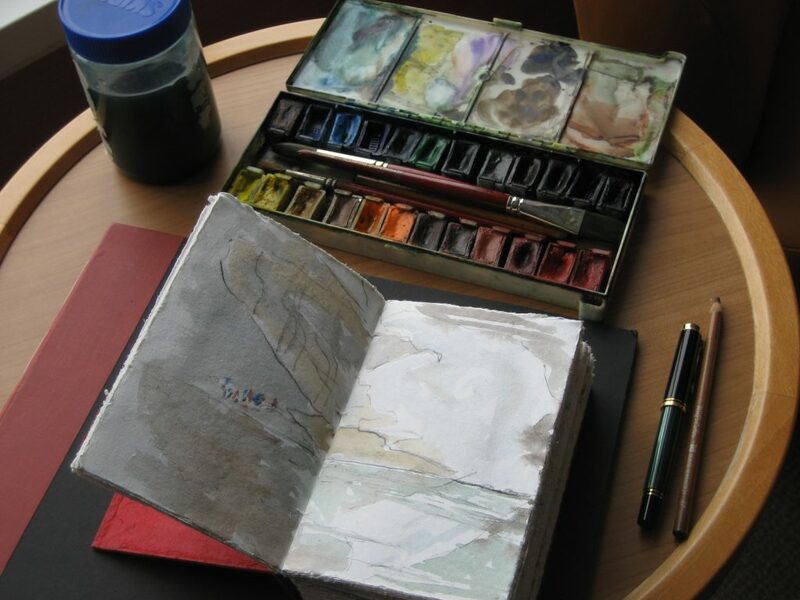 Participants will make a small journal/sketchbook and explore different ways to establish a daily journal practice. All materials and a copy of Sallie’s book are included in the cost of the workshop. Haiku is a short, unrhymed form of poetry. It records a specific moment of time and experience, usually related to the natural world and the seasons. In this workshop, we will venture into the outdoors in search of a “haiku moment”—that instant when something catches your attention and makes you stop to think and observe. Back indoors, we will record our “haiku moments” in three short lines of poetry, thinking about word choice, imagery, and other poetic devices. After we have honed and revised our haiku, we will carefully write them on fresh sheets of paper and draw or collage an image related to the poem. Learn to draw birds using a basic drawing vocabulary of lines and shapes; then add touches of color and value. After creating a 32-page sketchbook, we will draw birds, working as much from life as possible—using mounts if available, by observing birds at feeders, or watching a nest, from still life setups that focus on bird-like objects and from copying Audubon prints. The real trick is to get a feel for the bird’s posture and general shape and to look for straight and curved lines and how they come together. Most people can already draw the basic shapes and lines. We will use watercolor paints to spark our drawings with color and value. Each of Sallie Wolf’s workshops can be adapted to different aged audiences, from Kindergarten to adult, and can be tailored for your group’s or classroom’s needs and interests. All materials and a copy of Sallie Wolf’s book are included in the cost of the workshop. Email Sallie Wolf for details about scheduling a workshop.